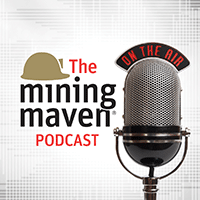 MiningMaven recently caught up with Eurasia Mining’s (LSE:EUA) chairman Christian Schaffalitzky to discuss the Russia-focused exploration firm’s plans following a busy news period. Last month saw the business announce that preparatory work, including tree felling, had begun ahead of this year’s production at its West Kytlim mine in Russia’s Urals region. This is expected in April once the seasonal thaw sets in. Meanwhile, the company is also continuing to make progress at its 80pc-owned Monchetundra project in the Kola Peninsula, where first palladium, platinum, and gold production is targeted in 2021. The business received a mining licence for the project in December 2018, and can now look to advance the project through construction. MiningMaven: Can you give us an overview of your plans at West Kytlim now that operations have re-started? Christian Schaffalitzky: We are waiting for the ice to melt so we can start the washing process. If things go well, we could begin to produce in April. It depends on when the thaw kicks in because we need running water to wash the gravel. The preparatory work required ahead of mining is relatively straightforward. First of all, the site contains ‘pay gravels’ that contain ore. We can start working on clearing forest and non-ore from above these gravels because we have identified where the platinum-bearing gravels are. Forest is removed, overburden is stripped back, and this is work that can be undertaken in winter and early spring. So that’s the immediate work plan. We are actually mining sediments that are in an active river system. So, once the river is flowing, we redirect it for the section on which we are working and also the terraces on the side of the river, from earlier river systems. Those terraces are also platinum bearing, giving us several generations of sand and gravel that are potentially platinum-bearing. That is what we are looking for when we are exploring. MM: Did the company deliver its production targets last year? CS: We did, yes. We had an informal target of around 100kgs of platinum, and we produced 165kgs. So, we were delighted with our performance in spite of difficult conditions in the platinum market, where prices remained very weak as gold and palladium roared ahead. MM: On that note, do you think platinum prices are basing and are ready to move up shortly? CS: There seems to be a perception in the market that there is an excess of platinum globally, which is pushing prices down. This is because the metal is used primarily in catalytic converters in diesel engines, which are expected to suffer declining demand over the coming years. Personally, I don’t buy into the idea that this dynamic is this simple. At current prices, around 80pc of the platinum mines in the world – or at least in South Africa – are operating below breakeven. They cannot keep working on negative income. You also have to remember that many of the underground mines in South Africa are old and, as such, are not mechanised. This could ultimately cause them to close, which would also throw up serious geopolitical concerns as they employ thousands of people who cannot be fired overnight. New mines are coming, of course, but as these older mines close, it will be a big problem for supply. MM: So, with South Africa’s potential issues in mind, is the area of Russia you are based in prolific for mineralisation? CS: Yes. If we focus on the Urals, it is famous for platinum. In fact, it was the first place in the world where platinum was discovered and then worked commercially. The Russians discovered significant platinum nuggets at the beginning of the 19th Century, and work has been going on since. Over this period, 16Mozs of the metal has been worked, so it really is prolific. There are both small-scale and large-scale platinum mining operations in the river system. What you do not find in the Urals are hard rock platinum mines, which are present in South Africa. In other words, in the current environment, the only economic platinum that we see in the Urals is as alluvial deposits like our West Kytlim Project, which are also very low cost operations, relative to the South African mines. At Monchetundra the focus is on Palladium as our identified ore bodies are at least 2:1 Pd:Pt. There are several other licences adjacent to our current permit and further afield, which we are reviewing. We believe Kola can be a really hot area on the global PGM map in years to come. MM: Moving away from the Urals, what can you tell us about developments at the Monchetundra project? There are a lot of elements in place at Monchetundra and a lot of things that we are currently doing. It is a complicated, big project, that very well may be a company maker for us. To recap, we have now completed a Russian style feasibility study to apply for a mining licence. This has now been granted and covers c.2Moz of palladium-rich mineralisation with platinum and gold as well as copper and nickel. We now have to have the mine development approved by the government, and also by ourselves. In other words, we need to get the engineers at work now, to put together the actual construction of the mine, and to make the planned detailed engineering for the mine. As part of this, we signed a contract back in 2016 with Sinosteel, a large Chinese engineering group to do an Engineering, Procurement, and Construction contract. They did an estimate at the time that said it would cost about $178m to construct the mine in roughly two years. They estimated that it could produce 130,000oz of palladium mineralisation per annum. To do the project, they would finance 85pc of the $178 million, and they would carry that loan on their books until the plant was fully operational, or commissioned and handed over. And then it goes on to Eurasia's books. The remaining 15pc, which is roughly $24 million, is our bill- our equity contribution to the development of the mine. However, at the same time, there is a cashback element to the project whereby Sinosteel sub-contract to us to do specific preparatory work. All that part of the work is subcontracted back to Eurasia. So, what this means is that we have to come up with $24m now, but we get $50m back, we believe less than what it costs to do the work. We've pretty much estimated that this will actually generate positive cashflow for our development. MM: Excellent, so can you give shareholders any indication of when more information will be available? CS: Right now, we are preparing the plans for all of this work and are making sure we have the licensing schedule organised with the government, and so on. There is a lot of paperwork involved in all of the aspects of the deal, and it does take time. We have to do it right, and we are a small company, relatively speaking, and this is a massive project, so we have to get it right. We will be providing further information to the shareholders in stages over the coming months with an update due soon. The interviewer does not hold any position in the stock(s) and/or financial instrument(s) mentioned in the piece. On Wednesday, Harvest Minerals (LSE:HMI) said Brazilian Energy company CEMIG had connected its natural fertiliser project to the electricity grid. Approval from CEMIG was received on 18th February following final testing at the project. The low-cost mine, called Arapua is located in the heart of the Brazilian agriculture belt and has an indicated and inferred resource of 13.07Mt at 3.1pc potassium oxide and 2.49pc phosphorus pentoxide. At forecast levels of output for the company’s KPFértil product, the resource already provides 29 years of production based on drilling a mere 6.7pc of known mineralization to date. Last year in preparation for connection to the grid, Harvest installed a 600KW power substation and two transformers. Up until now the plant and other onsite facilities were powered by Diesel generators. Replacing these generators with power from the national grid will reduce costs at the project. The project is already considered low cost with an 80% margin and a market for the product on its doorstep, reducing transportation costs. As an example, the local coffee industry alone represents a potential market for KPFértil of over 3Mtpa within 300km of the project. Harvest advises that the current installed capacity for electricity supply exceeds the maximum current demand by 15% and can easily be upgraded to 2,500kW, allowing for future demand. Harvest's Executive Chairman, Brian McMaster, said, "The plant upgrade and expansion we installed last year is working well and by switching from diesel to grid power we will be able to continue to control costs and maintain our position as one of the lowest cost producers in the world." Directors and management of Arc Minerals (LSE:ARCM) collectively bought just over 3.76m shares as part of a private placing that saw the company raise a total of £2.2m. Existing investors will likely be pleased that the funds were raised at the current share price of 3p. In an announcement Monday, Arc said the proceeds will be primarily used to progress its flagship Zamsort Copper Project in Zambia. Earlier this month, the firm released the initial results from an airborne geophysical and soil sampling programme at the copper-cobalt licence, revealing seven new anomalies. The company holds a 66pc interest in Zamsort limited which is developing the Kalaba copper-cobalt project in north-west Zambia. Zamsort has 850 km2 of exploration ground under license in the highly prospective region of the Zambian Copperbelt. The area now accounts for a substantial part of Zambian copper production and the Kalaba project and the surrounding Zamsort exploration licenses are in close proximity to large operations such as First Quantum Minerals’ Sentinel and Kansanshi mines and Barrick Gold’s Lumwana mine. Arc expects production at the Kalaba demonstration plant will commence soon. The commercial-scale plant, being constructed by Zamsort, is in the latter stages of completion and is fully permitted with an initial mining license until 2025. Since the placing was private and non-brokered no fees or commissions will be deducted, allowing all of the cash to be fully utilised. Participants in the placing will receive one warrant for each share purchased which can be exercised at 4.5p over the next three years. Six officers of the company participated in the fundraise investing an aggregate £113k with Executive Chairman, Nick von Schirnding contributing the lions share. Schirnding now holds around 16m shares representing 2.26pc of the company. Schirnding, said: "We were approached by two family offices, one of which is already a shareholder, for further funding to progress our newly identified targets at Zamsort. This is a very good outcome for us and as a result we will be accelerating work in respect of Cheyeza West and other key targets and will start a comprehensive drilling programme as soon as possible. I look forward to an exciting time ahead with significant newsflow for the Company as we deliver on our strategy." African Battery Metals (LSE:ABM) returned from suspension today after a host of proposals aimed at refinancing and restructuring the firm were approved by investors at a general meeting on Friday. Shareholders in the Africa-focused exploration business voted 99.96pc in favour of all resolutions at the meeting in London. This outcome has, in turn, successfully triggered a number of proposals outlined by the business in a refinancing and strategic update issued last month. In this, African Battery proposed a conditional placing and subscription to raise £1m at 0.5p a share, resulting in the issue of 200m new ordinary shares. Each of these refinancing shares will have an attached warrant to subscribe for a new ordinary share at a price of 1p within two years. The money raised will be used to pay all of African Battery’s material company creditors through a mixture of cash and/or shares. In last month’s update, the firm said this would allow it to become debt free with a robust cash position for at least 12 months when considering current business costs and operational plans. The passing of all the resolutions at Friday’s vote will also see current chief executive Roger Murphy and, in due course, executive director Matt Wood step down from the firm’s board. They will be replaced by Andrew Bell, who will take on the role of executive chairman, and Paul Johnson, who will become executive director. Bell will be well known to AIM investors as the chief executive and chairman of Red Rock Resources (LSE:RRR) and the non-executive director of Regency Mines (LSE:RGM). He is also a non-executive director at ASX-listed Jupiter Mines and has formerly held senior roles at firms like Star Striker and Greatland Gold (LSE:GGP). Johnson will also be a familiar name to many in the market as the former chief executive of Metal Tiger (LSE:MTR), Metal NRG (NEX:MNRG), and China Africa Resources. He has also been chairman of ECR Minerals (LSE:ECR) and non-executive director of Greatland Gold (LSE:GGP) and Thor Mining (LSE:THR). He is currently chief executive of Value Generation Limited, a family investment and advisory company focused on the natural resource and related fintech sectors. As well as joining African Battery’s board, both Bell and Johnson will each subscribe to £50,000 worth of shares in the company’s placing. On top of this, Red Rock will subscribe to an additional £100,000 worth of shares. Following their appointment, the pair will lead a strategic and operational review of the business. This follows its suspension in December last year after it was unable to secure equity finance from its largest shareholders on any terms. At this time, the business said it would be at risk of being unable to continue to trade as a going concern if it could not reach a satisfactory settlement with its creditors. Now that it has reached a solution, African Battery has carried out a programme of core cost review and has reduced its corporate plc costs to minimal levels. It has also changed its board incentivisation rules, to ensure that all payments are reflective of the cash position of the company and performance-based. It will publish figures on its website for full transparency. Finally, the business will also undertake a more thorough strategic and operational review of existing company interests and target exploration resources in a prioritised manner. Following this, it will develop a strategic and operational plan. This will see management identify, review, and, if appropriate, acquire new opportunities to complement and diversify its existing business interests. This could include the potential acquisition of interests within Africa or new territories in both battery metals and other commodity categories. Finally, following the resolution of the meeting, African Battery will now appoint SI Capital as its joint broker alongside SP Angel. The article expresses the views of the Author solely and do not necessarily express the views of MiningMaven.com and Catalyst Information Services Ltd or their connected parties who are not responsible for its content or accuracy. Strategic Minerals (LSE:SML) rose 2.4pc on Monday morning after revealing promising copper mineralisation in the latest round of assay results at its Leigh Creek project. Eight out of 10 holes drilled at a site called Paltridge North within the South Australia-based project last August intersected significant copper mineralisation including malachite, azurite, chalcocite and native copper. Six of the latest holes had an intersection of 1.34pc, which is significantly higher than the resource average of 0.81pc. Paltridge North deposit is a relatively flat tabular deposit hosted in fine-grained siltstone. Mineralisation has varied from predominantly copper oxide minerals, malachite and azurite, in the upper levels of the deposit. This grades into a relatively sharp contact where the copper minerals are mostly chalcocite with some minor native copper observed in the drill core. The company carried out its infill diamond drill programme with the aim of providing metallurgical test samples and testing historical drilling. Strategic said its results reinforce a previous resource model estimate and highlight areas of higher-grade copper, including 1m at 8.7pc. A previous JORC resource gave Leigh Creek a JORC Resource of 3.6Mt at 0.7pc copper, with contained copper of 24.9Kt, at Paltridge North alongside two other deposits called Lynda and Lorna Doone. The firm is now producing an updated resource model that will incorporate these results. It expects this to complete in March 2019. Meanwhile, Stragic also completed seven diamond drill holes at another Leigh Creek site Rosmann East. Here, Strategic has defined a mineral inventory of 1.8Mt at 0.65pc copper, with contained copper of 11.5kt. The holes tested below the existing pit floor at the site and have so far provided strong support for continued mineralisation. Strategic says this continued to as much as 60m below the existing pit floor and 30m below previous drilling, with its first hole returning 69m at 0.37pc copper. Results for the other holes, which have targeted known areas of higher grade, will be released when available, the business said. Managing director John Peters said: ‘The Paltridge North deposit assays, arising from the first diamond drilling programme for 32 years, have delivered better than expected results and provide the SML Board confidence that Paltridge North could be a significant copper producer in the near future. Catalyst Information Services Ltd, the owner of MiningMaven.com, does not own a position in the stock(s) and/or financial instrument(s) mentioned in the piece. Centamin (LSE:CEY) rose 2.9pc to 122.4p on Friday after announcing a considerable resource increase at its gold assets in the Côte d'Ivoire. The firm completed 120,000m of drilling in the country last year to produce a maiden resource at its ABC project and an updated resource at its Doropo site. A further 90,000m of drilling is budgeted and underway for 2019 to build on these results. The work revealed a 2.13Moz indicated and 0.8Moz inferred mineral resource within Doropo at a gold cut-off of 0.5g/t. Within this, 50MMts at 1.31g/t has been identified in the indicated category, representing a 55pc increase in resource tonnes year-on-year. Centamin added that total Doropo licence holdings of 2,721km2 remain mostly unexplored, with numerous targets identified. It believes this could present significant resource upside potential. Meanwhile, the company has budgeted a 55,000m drill programme at the site for 2019. It expects to develop immediate resource extensions and evaluate the resource significance of several regional Doropo targets. Finally, a preliminary economic assessment remains on track at the site and is on schedule for completion by H2 2019. Alongside this, a maiden mineral estimation is targeted by Q2 2019 to support the next stage of feasibility work ahead of a board investment decision on development. Moving on from Doropo, last year’s drilling also revealed a maiden resource estimate of 19.6MM ore tonnes at 1.03g/t gold in the indicated category at the ABC project. This translates to around 650Koz of gold. The work also identified 16.1MM ore tonnes at 0.87g/t in the inferred category for around 450Koz of gold. According to Centamin, the mineral resource area is defined from the surface, along a 2.3 km strike, and remains open in all directions. Detailed 3D grade modelling indicates there are high-grade plunging shoots within the 50m x 50m broad-spaced drilling. A 34,000m drill programme is now scheduled for 2019 with a focus on resource development at two prospects called Kona Central and Kona South. The work will test the resource extension potential between the two candidates, drill testing high priority targets along the LGC in addition to airborne magnetic/radiometric surveying and geochemical sampling. Centamin’s chief executive Andrew Pardey said: ‘2018 saw a further increase in our investment and level of activity in CDI across our 3,472km² land holding. We have only scratched the surface of the potential of these assets, and we are maintaining an intensive campaign in 2019 to define further quality gold ounces. ‘Doropo continues to demonstrate the potential to be our next organic development project. Ongoing exploration and concurrent viability studies will further unlock the potential future scale of this project as we assess the economics against our internal project value creation criteria. The PEA is progressing well and we look forward to reporting the results to the market at the end of H2 2019. Delivery of a maiden reserve and further feasibility work are critical milestones for 2019, ahead of a Board decision on capital allocated for development. ‘The success and scale of the 2018 ABC discovery results and the reporting of the maiden Kona South resource in less than two years of active exploration, highlights the scale and quality of the Lolosso Gold Corridor and the regional generative potential of the ABC land package. Strategic Minerals (LSE:SML) rose 5.5pc to 1.7p on Thursday after revealing that a resource upgrade has led its Redmoor project to rank among the leading undeveloped tin-tungsten mining projects in the world. A drilling programme carried out by the firm’s 50pc-owned JV vehicle Cornwall Resources last year has led to a 200pc increase in the metal contained at the Cornwall-based project. It now has an inferred mineral resource of 11.7Mt at 1.17pc tin equivalent up from 4.5 Mt at 1.00pc in March last year. Included in this figure is 10.2Mt at a cut-off grade of 0.65pc with an average tin equivalent grade of 1.26pc. According to Strategic, this reinforces the potential of mining the resource economically. The business added that, on a contained metal and grade basis, Redmoor is now one of the leading undeveloped tin-tungsten mining projects globally. What’s more, last year’s drilling campaign also confirmed the continuity of the Sheeted Vein System. This hosts the high-grade zones, over a strike length exceeding 1,000m and for some 650m down dip. Finally, the work confirmed the potential to increase the resource at Redmoor. This is because its mineralisation remains open at depth over much of its length. It is also open to the west, with an additional high-grade Exploration Target of 4-8Mt at a grade of between 1-1.4pc. Peter Wale, executive director at Strategic Minerals, said: ‘In the Company's view, the independent assessment of the inferred tin equivalent resource highlights the world class potential of the Redmoor project and sets an important milestone. ‘The significantly upgraded resource statement validates the strong drilling results received during the 2018 programme. This provides the Company and its joint venture partner, New Age Exploration, confidence to progress towards the goal of restarting mining at Redmoor. Strategic Minerals is an AIM-quoted, operating minerals company actively developing projects prospective for battery materials. It has an operation in the United States of America and development projects in the UK and Australia. The Company is focused on utilising its operating cash flows, along with capital raisings, to develop high-quality projects aimed at supplying the metals and minerals being sought in the burgeoning electric vehicle/battery market. Drilling took place at two key prospects within the Bougouni project called Sogola-Baoule and Boumou. Holes at Sogola-Baoule returned further wide mineralisation, with highlight intersections including 31m at 1.3pc lithium dioxide from an 85m drill hole and 27m at 1.1pc lithium dioxide from a 92m drill hole. Kodal said these figures have provided enough definition to model Sogola-Baoule’s geology and mineralisation with confidence. The firm added that drilling has confirmed the presence of shallow mineralisation with continuity from near surface to more than 150m deep. Sogola-Baoule is estimated to contain 122.2kt of lithium oxide, making it Bougoni’s largest prospect. Future open-pit mining assessment will target the prospect’s priority central and north-eastern extension as a potential starting zone for a mining operation. Meanwhile, additional mineralised intersections were located at Boumou, including 11m at 1.3pc lithium dioxide from 114m. Kodal said these further indicate that the prospect remains open to the south-west and north-east, with clear extension and definition targets identified. However, given that drilling at the prospect has been widely spaced so far, the business said it is likely that it will remain in the inferred category for the time being. Boumou is estimated to contain 22.9kt of lithium oxide. Kodal CEO Bernard Aylward said Tuesday’s figures round off a drilling programme that has highlighted ‘the excellent continuity and width of the pegmatite mineralisation’ at Sogola-Baoule and Boumou. He added that the firm will now incorporate the results into the geological and mineralisation model that will update its JORC mineral resource at Bougouni. With a current total mineral resource estimate of 207.9kt contained lithium oxide, Bougoni is among the 15 largest hard rock lithium projects in the world. However, Kodal believes it shows significant exploration potential that could see this number grow further. In Wales, Alba is focussed on developing its 90pc owned Clogau Gold Project. The project is located in the Dolgellau Gold Belt, the most prolific gold producing region of the United Kingdom. Despite this accolade, the area is considered underexplored in terms of using modern methods of exploration. Last year, the company carried out a geochemical soil sampling programme of the Clogau Gold Project. Alba plans to extend the programme in 2019 to cover selected areas of the Dolgellau Gold Belt not yet explored with modern techniques. The company says it will collect an initial 1200 soil samples in phase one - increasing to 3,000 samples later in the year – in the hope of identifying additional significant gold deposits within the license area. Phase one is expected to take 12 weeks to complete, after which samples will be sent to an accredited laboratory for assaying. Alongside it’s exploration efforts, Alba is looking to bring an inactive mine situated in its license area back into production. Much of the gold extracted historically in the region was from the Clogau St David’s Gold Mine. 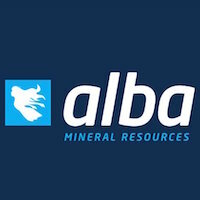 Alba is currently undergoing environmental baseline studies ahead of submitting a planning application for the re-opening of the Mine. The firm is also in the process of finalising a detailed exploration work programme at the mine in order to identify unworked gold veins and gold-bearing structures. Alba's Executive Chairman, George Frangeskides, commented: “[The extensive regional exploration programme] will involve the collection of up to 3000 samples covering about 50 per cent of the total extent of the Gold Belt, which runs to some 30 km in a straight line. By the use of systematic, modern exploration techniques, our objective is to unearth one or more gold deposits to rival the Clogau-St Davids Mine." In Ireland, Alba owns a base metals project in the Limerick Basin with identified Zinc-Lead targets. The area is highly prospective for zinc, lead and silver and is only 10 km away from, and part of, the same target unit as the Pallas Green zinc discovery. The company is poised to commence a drilling campaign at the Limerick Base Metals Project just before summer. The firm is waiting on a water discharge permit which is the final approval required. Alba holds a number of licences in Greenland. Analysis of samples taken in the 2018 drilling campaign at the Thule Black Sands project is underway. The company is developing a geological model for the project and is planning further mapping and drilling in 2019. Meanwhile, the company reports its 90% owned Amitsoq Graphite project in southern Greenland is drill-ready. Alba is currently discussing the potential of a strategic or joint venture with interested parties. Frangeskides, commenting on Greenland, said: “Our ongoing work [in Greenland], both out in the field and in the close season, has enabled us to hone our licences to cover the key targets and deposit areas, so that our exploration spend is directed in a way that we feel will add the most value to Alba and to our shareholders. We remain very positive about all of our Greenland projects, and intend to continue to be one of the prime movers and explorers in that vast, minerals-rich country." "I look forward to providing shareholders with further updates as our work progresses."